This entry was posted in random thoughts and tagged muscovy ducklings. Bookmark the permalink. Excellent blogging you have done. This is Mark Hainds. We are going to meet in person this July at the Green Arcade. It’s been many years since we raised ducks back on the farm. We’ve built our flock of chickens up to 103 birds and I’m not sure how many cotornix quail we’ll end up with. 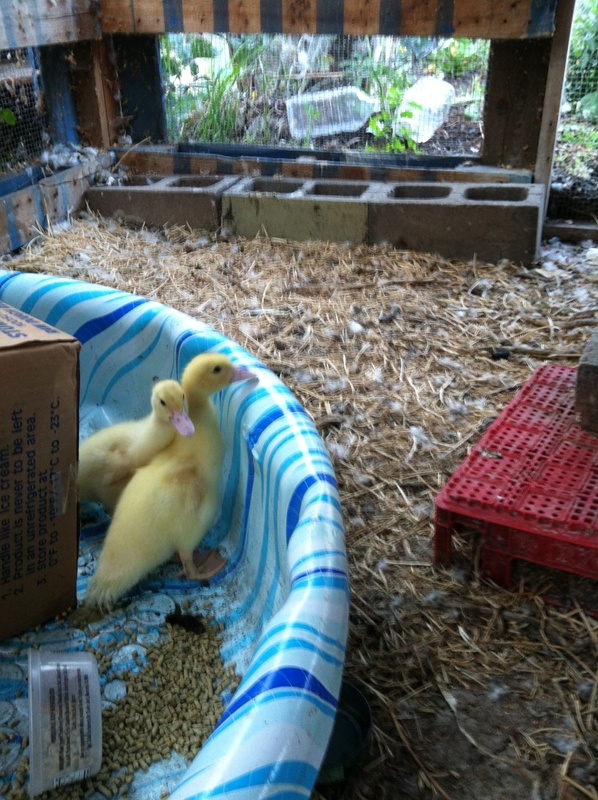 But if you don’t find a home for your ducklings, I might be able to trade you out something from our farm. There have been a few people expressing interest in duck eggs at the Palafox Farmers’ Market where we sell our wild collected berries, fruits, vegetables, jams, and jellies. PS: I’m halfway through Farm City and enjoying it very much! We swore off ducks this year after a massacre wiped us out this spring (raised runners all winter, stray puppy got them a week before they were to start laying! )… then Craigslist got us. 13 muscovies, there will be confit. Yes, yes, and yes! I am looking for two muscovy hens. If you can’t tell the difference yet I can take more or wait. I am located just below San Leandro. I have rabbits and/or guinea pigs to trade. I also have some quail I would consider trading if you are really interested. Are you able to see my email address or do I need to post it? As someone who greatly enjoys hearing of your urban farming exploits, I am worried that you are planning to stop? Or, now that I think of it, you have a baby, and you are planning to do a lot less with the farm? Anyway, too bad I can’t take those ducks off of your hands, as I live far away, live in an apt., and would only have some plants to trade. good morning and happy fourth of july. i have a small cafe in oakland cafe(504) that i supply most of my goods from my small farm plot in concord. i would be thrilled to take any ducklings you have left. i could trade food, coffee, help at your farm. i also am a mom of four so even a bit of childcare!! !